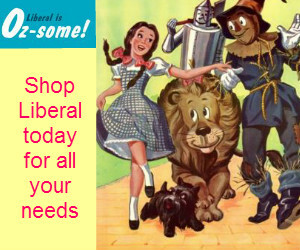 ​Since 1991, the Liberal is Oz-Some Campaign has been promoting “Shop Liberal”. The goal of the campaign is to promote business growth in Liberal by coordinating and planning events as well as conducting consistent advertising campaigns to enhance Liberal as a town of choice for Southwest Kansas and the Oklahoma and Texas Panhandles. ​These goals are achieved by advertising consistently throughout the year and by organizing two major advertising blitzes, Bazaar Days and The Citywide Holiday Open House. Media used to reach the more than 80,000 potential shoppers and visitors in our area includes radio, television, and newspapers along with billboards, posters and fliers. All advertising encourages people to not only shop Liberal for their retail and service needs, but also to attend our events or come to play golf, go to the waterpark, or attend a BJ Baseball game, just to name a few. ​Funds for the campaign are provided through the generosity of the City of Liberal, local businesses that are Oz-Some members, and in-kind advertising offered by our local media. If your business would like to join the Liberal is Oz-Some Campaign and help promote Liberal, we invite you to call the Liberal Chamber of Commerce office at 620-624-3855. The cost is $120 a year.